The challenges facing Africa’s rangers are greater than ever before in the face of a continental poaching epidemic that threatens the very existence of our continent’s remarkable wildlife. Maintaining the motivation and morale of those at the front line of African conservation defence is of paramount importance if we hope to win what can only be described as a war against our wildlife and biodiversity. The multi-billion-dollar illegal trade in protected species is one of the most lucrative illicit markets in the world today. Combined with habitat loss, it is driving many wild animals and plants towards extinction. Unsustainable poaching and wildlife trafficking is perpetrated globally, with less developed countries often targeted in this theft. Despite national and international laws designed to protect endangered species, almost all wild species are traded. Elephant ivory, rhino horn, big cats parts, pangolins, reptiles, birds and illegal timber are traded illegally in large quantities. This illegal trade is driven by demand for rare plants; bones, scales and other ingredients for traditional medicines; pets and zoo exhibits; collectors’ trophies; decorations and luxury items; as well as wild meat and other products. With species being removed from the wild faster than they can repopulate, their inputs to critical natural processes and ecosystem resilience are lost – a knock-on effect that causes other species to disappear. Left unchecked, wildlife trafficking threatens to unravel entire ecosystems. North of the Limpopo river (with the exception of Kenya), basically all rhino were killed illegally; the majority of the remaining rhino in the world is concentrated in South Africa, where there is a huge increase in rhino poaching and South Africa has lost more than 4 600 rhinos to poaching since 2008. By early 2013 Kenya had a mere 13% of the estimated black and white rhino population of the total of Africa’s 25 500 rhinos. At the African Wilderness Foundation (AWF) Emergency Rhino Summit in Kenya (April 2012) and the National Rhino Conservation Dialogue held in South Africa by the Department of Environmental Affairs (DEA) in May 2012, it was decided that the primary tier to ensure the survival of the specie is ‘boots on the ground’ – an increase in the deployment of well-trained and equipped rangers. Currently, there is no new generation of anti-poaching rangers to meet the huge demand in national parks, provincial parks and the private reserves and farms. The ‘park ranger’ initiative uses proven models, with new processes and approaches, to train a new generation of anti-poaching rangers with theory, skills and practical abilities to address this challenge and save our wildlife heritage for future generations. • 2012 October: Eco Ranger applied to the South African Qualification Authority (SAQA) and the Quality Council for Trades and Occupation (QCTO) to develop an anti-poaching ranger qualification. • 2013 February: Pre-scoping meeting was held by QCTO at the Eco Ranger HQ in Hoedspruit, Limpopo. • 2013 July: Second pre-scoping meeting was held at PFTC HQ in Gauteng. • 2013 October: Scoping Meeting was held at CATHSSETA HQ in Sandton, Gauteng. • 2013 November: Community of Expert Practitioners (CEP) was selected by the QCTO. • 2014 May: Development of the new national qualification commences. • 2015 March: Posted for public comment (only one comment was received: ‘excellent work’). • 2015 April: Submit to the QCTO for implementation. Ranger Conservation Services and CATHSSETA. Furthermore, all inputs from the rhino anti-poaching workshop ‘Breaking the Chain’, held at Hoedspruit on 25 and 26 September 2014, hosted by Quemic, were applied where relevant. The challenges of the current situation, combined with proven combat and tracking experience from bush wars, have been absorbed into the new qualifications. Gather intelligence and handle informers. Develop a detailed knowledge of a criminal element and their tactics. Develop an informer network and handle informers. Advanced combat training and tactic. Execute tactical combat techniques in an operational environment. Neutralise a target at close quarters during operations. Give an accurate spoor report up to 30 minutes. Execute follow-up and chopperborne operations. Safely dispatch with fast-roping from helicopter. Use tactical operations to combat wildlife crime. Perform observation and reconnaissance operations. Execute the correct arrest procedure. Secure and manage crime scene. Secure and protect evidence at the crime scene. Chain of custody of evidence. Provide a statement (elements of a crime). 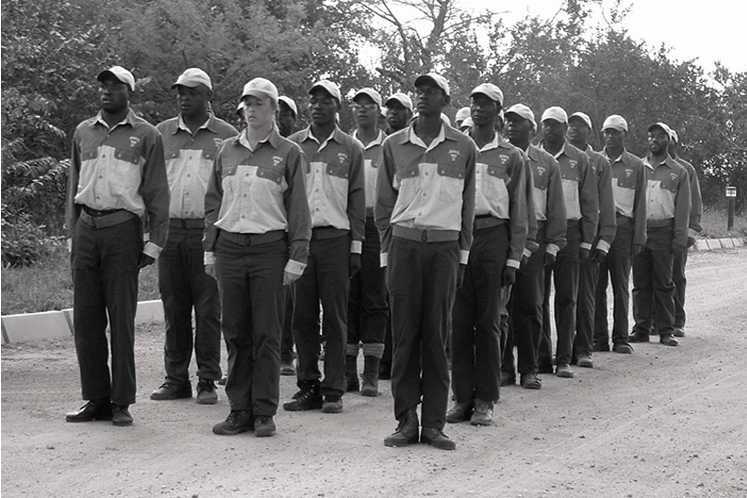 The South African park ranger qualification is the first of its kind in the world and will be the most elite ranger qualification worldwide. It is on par with, but also more comprehensive than, similar courses found in regional military units and will specialise in training rangers as field rangers with a broad education in conservation monitoring and reporting and specialised combat tracking. They will qualify as elite anti-poaching rangers and area integrity rangers that can proactively lead other rangers in the African bush. Rangers are the principal guardians of the world’s premier natural biodiversity. 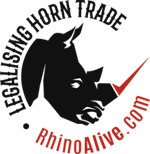 PreviousPrevious post:Stop The KillingNextNext post:Wildlife Policy In Southern Africa: Why not crop the game?